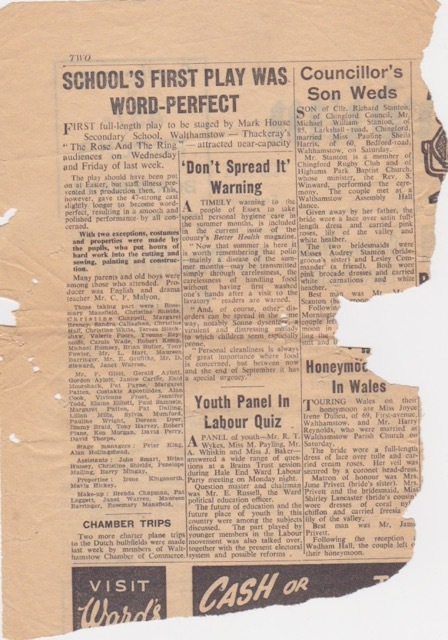 In addition – the ‘well worn and fairly fragile’ copy of the above newspaper cutting of the production has fortunately come to light – having been kept by Elaine’s mother since she had appeared in the cast. It is hoped that the parts played by the rest of the cast shown in the newspaper report, will also come to light and added to the list from the subsequent ‘AAA’ production – which is shown below. Costumes preparation for the Rose & The Ring – Elaine & Pat – armed with Knitting Needles – with Tony Fowler & Tony Harvey at the Chess Set! 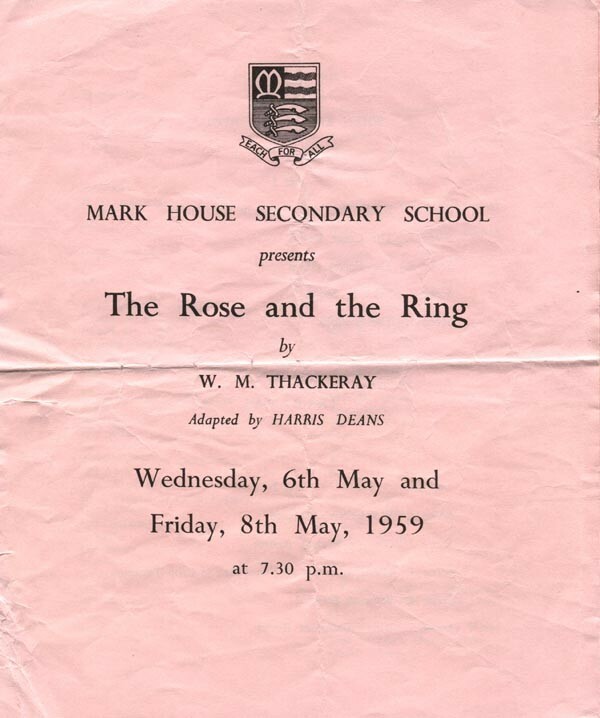 ‘First Full Length Play to be staged by Markhouse Secondary School, Walthamstow – Thackeray’s “Rose and the Ring” – attracted near capacity audiences on Wednesday and Friday last week. 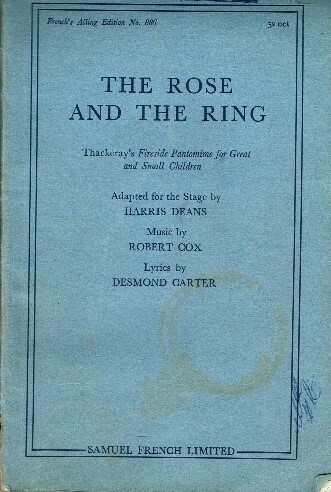 The play should have been put on at Easter, but staff illness prevented its production then. This however, gave the 47 strong cast slightly longer to become word perfect, resulting in a smooth and polished performance by all concerned. With two exceptions, costumes and properties were made by pupils, who put hours of hard work into the cutting and sewing, painting and construction. Note: Apologies for any misspelling or omission of any names in the above list as a result of the print size and condition of the original clipping.